Last week the we had a day of cooler weather and I immediately knew what I had to do, decorate my porch for fall! My front porch sets the stage for fall in my home. I love coming up my driveway and seeing fall colors and pumpkins greet me. 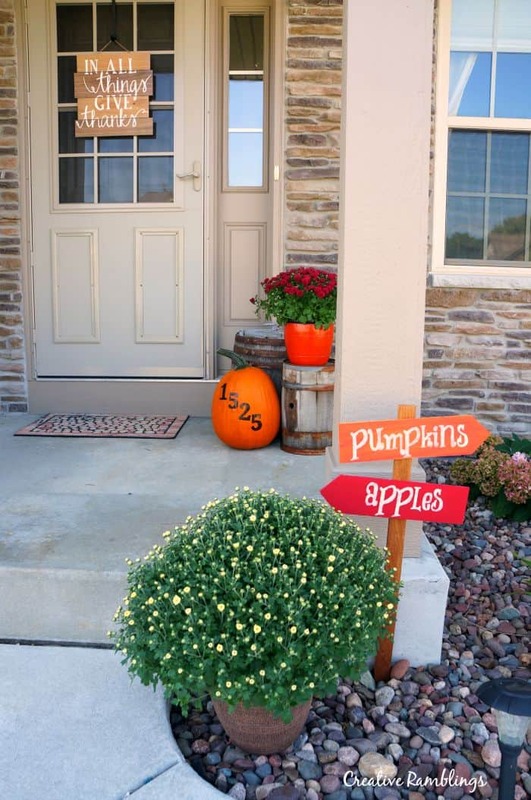 I am sharing a fun painted pumpkin and my fall front porch with you today. 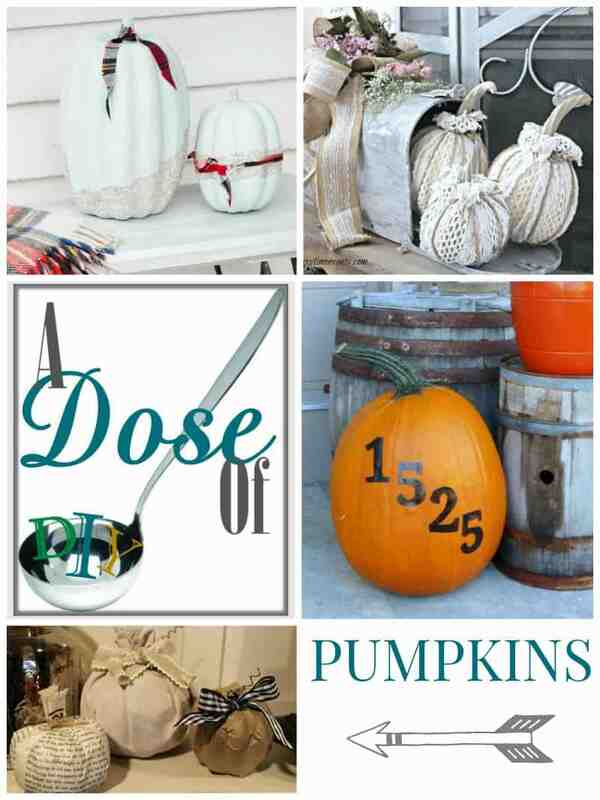 Be sure to scroll down and see some fabulous pumpkin creations from some very talented bloggers in this month’s Dose of DIY Blog Hop. Mums are always on my fall front porch. This year I chose big full containers of white mums to flank my porch. When I decorate this early I try to buy mums that haven’t fully bloomed yet, this will keep them pretty and in bloom until Halloween. I love the way dried corn stalk look outside, and they way they sound in the wind. I picked up a couple and wrapped them around my front light post. These beautiful old barrels are from my mother-in-law’s childhood farm. They both were used for butter and have the family name on them. I wanted to highlight these barrels, so I just added a small mum and pumpkin so they weren’t covered up. One of my favorite porch accents is this sign. 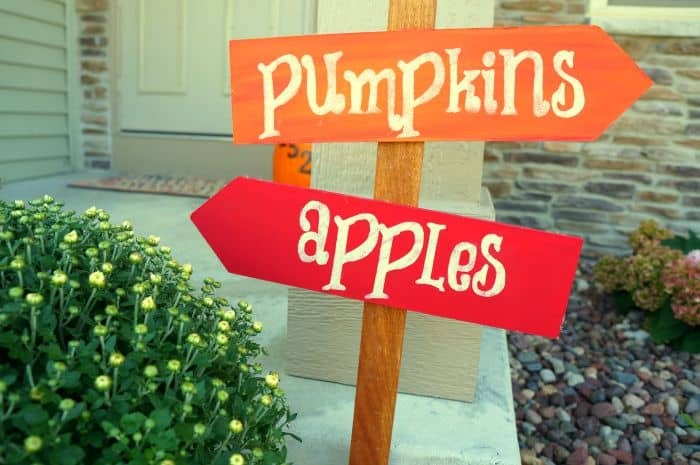 You can view the full tutorial here and make your own fall pumpkin and apple sign. A new touch this year is my address painted pumpkin. I have wanted to add a new address plaque for a couple of years but cannot decide on a style. 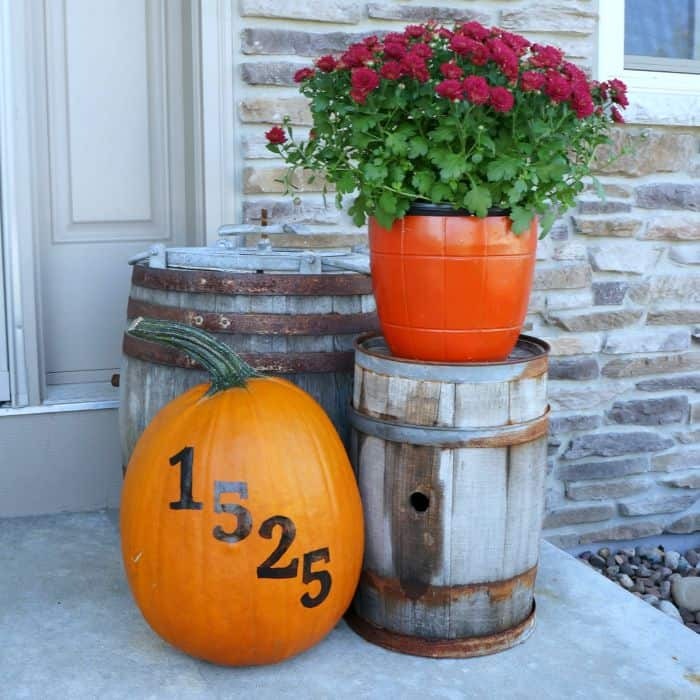 I round up some creative house numbers but still can’t decide. So for the season I am using a pumpkin, and I love it! This was so easy to make, you can use this technique with just about any design to create a fabulous painted pumpkin for fall. My talented friends have all done creative things with pumpkins today, be sure to click below and check out their designs. 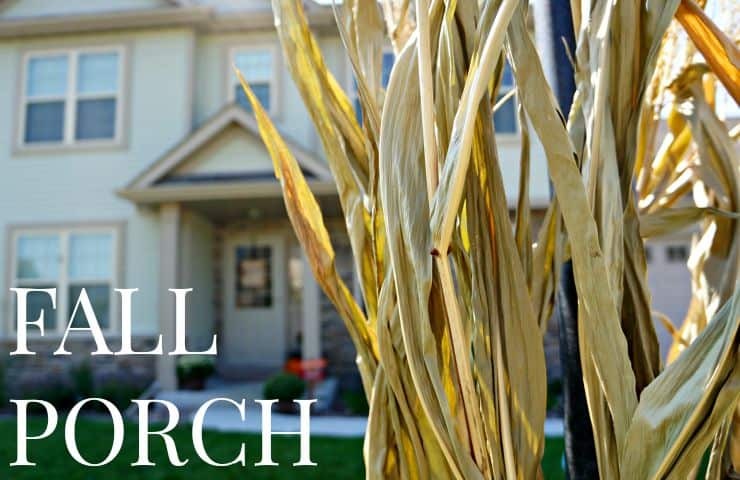 Tell me about your fall front porch? What is your favorite decoration?